You can reach us by phone at 615-371-1030. We are CLOSED FOR SEVERAL MONTHS AS I CONSIDER RETIREMENT.STAY TUNED! . 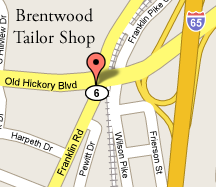 . .
119 Franklin Rd, Brentwood, TN.